The Governor General was brave and inspiring at the Christchurch National Memorial Service to commemorate the victims of the masjid attacks just two weeks previously. Great. Now let us measure Dame Patsy’s rhetoric against her own behaviour. Granted, the role of the Governor General is to be nice to foreign dignitaries. They are there to dress up, smile and utter anodyne statements to even the most odious foreign leaders and their plenipotentiaries. But in late 2017, at Beersheba and again in Jerusalem, her gushing enthusiasm for the state of Israel, went well beyond the customary pleasantries those in her position are meant to emit. Moreover, she failed dismally to meet her own yardstick standard of speaking out against racism. When she was In Jerusalem, Dame Patsy planted a tree in the Grove of Nations, a small forest run by Keren Kayemeth Leisrael – Jewish National Fund. KKL-JNF is the major landholding institution in Israel which works with the Israeli government to keep land under exclusive Jewish ownership. Its constitution directs that only Jewish applicants are entitled to lease its land. KKL-JNF has established a number of forests in Jerusalem. It is actively expanding them into the Occupied Palestinian Territories as annexation by stealth. Not a word of calling out any of these fundamentally racist actions from Dame Patsy. At the 100th anniversary of the Battle of Bersheeba during the same visit she was at it again. Not a single mention from her of the Arab forces who had fought as allies alongside the New Zealanders and Australians against the Ottoman Turks in Palestine at that time. She made no reference either of the massacre of Palestinians by New Zealand soldiers at Surafend a few months after the battle. Instead she cited “plenty of nerve and dash” from the New Zealand and Australian regiments. Then she moved on to talking about New Zealand’s commitment to human rights, our active role in the United Nations and our initiatives to prevent the spread of weapons of mass destruction. Any of the attendant Israeli dignitaries could well have thought those three references were aimed at them. After all, Israel’s laws routinely discriminate in favour of Jewish Israelis. Its Prime Minister states “Israel is not a state for all its citizens”. East Jerusalem and the West Bank have been under Israeli occupation for more than 50 years with attendant illegal Jewish-only settlements on stolen land, assassinations, arbitrary imprisonment and widespread house demolitions. Israel has blockaded Gaza for more than a decade, routinely bombs it and shoots demonstrators through its demarcation line. Israel blocks some now six million Palestinians from returning to their homeland, because it says Jews have a “right of return” instead. Israel has, not so secretly, had nuclear weapons since the 1960s. Israel invariably ignores United Nations Security Council and General Assembly resolutions. “To this end” she announced grandly “over 2000 New Zealand troops have served in peace keeping roles on Israel’s borders since 1948,” citing New Zealand troops in the Sinai and Golan Heights. Our Governor General seems to have some chronology problems. Firstly, the Battle of Beersheba occurred thirty years before Israel even existed and the British imperial troops would have had no idea they would be recalled later in history as fighting the Ottoman army with the intention of creating a Jewish state. New Zealand forces, deliberately outside a mandate from the United Nations, were sent to the Sinai in 1979 – not 1948. They are there to monitor breaches by either side of the Egypt-Israel Camp David accord provisions. They are not there to protect Israel as Dame Patsy would reframe it. The New Zealand soldiers patrolling in the Israeli occupied Golan Heights were deployed after the June War in 1967 to monitor both sides – again not to protect the Israeli conquests. The New Zealand presence in the Golan is due to be renewed in September 2020. Israel annexed the Golan in 1981, citing security entitlements and the presence of an ancient synagogue, to take over Syrian land. Until now Israel could find no exceptions in the well-established international consensus that Israel was in belligerent occupation of the Golan and therefore had no claim to it. But now, the US, in complete rouge mode, has just issued a decree formally endorsing Israel’s demand to sovereignty over the Golan. This seems to be an attempt by Donald Trump to endorse the re-election of Netanyahu as Prime Minister, as leader of a coalition which has cabinet minister Ayelet Shaked (who ran an election television commercial making references to fascism) and another candidate also using television to depict himself shooting dead an Arab fellow member of the Israeli Knesset. As a result of the US reset, and the affirmation that such odious characters will continue to run the Israeli government, it can be predicted that New Zealand will give its mission away and quietly pull its observers permanently out of the Golan in another year. 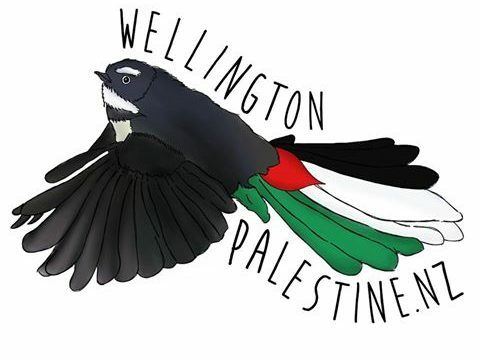 Dame Patsy, with a year to run until her term runs out, could well be called on to reprise her role and enthusiastically front up on the Golan with some honeyed ceremonial words about Israel’s right to live in peace and how wonderful the achievements of the New Zealand forces had been over the years. I wonder if she will remember her Christchurch speech when she goes there.